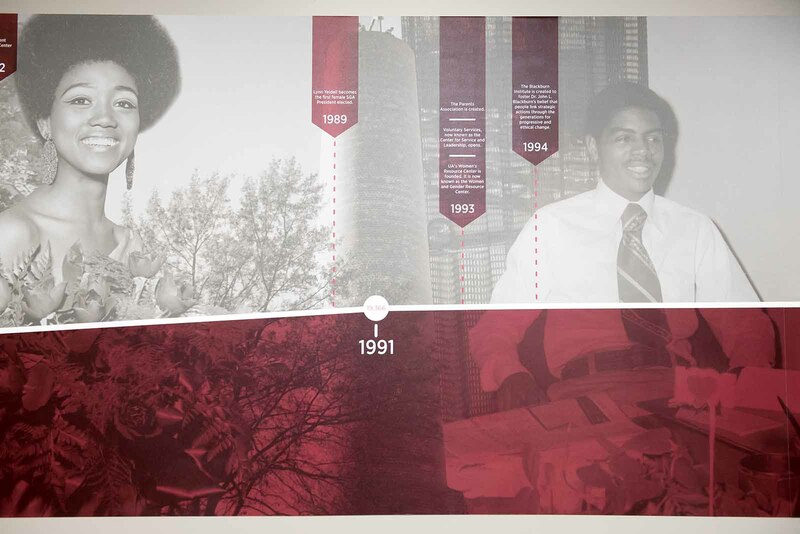 The Ferguson timeline captures UA history in the space of one wall mural. 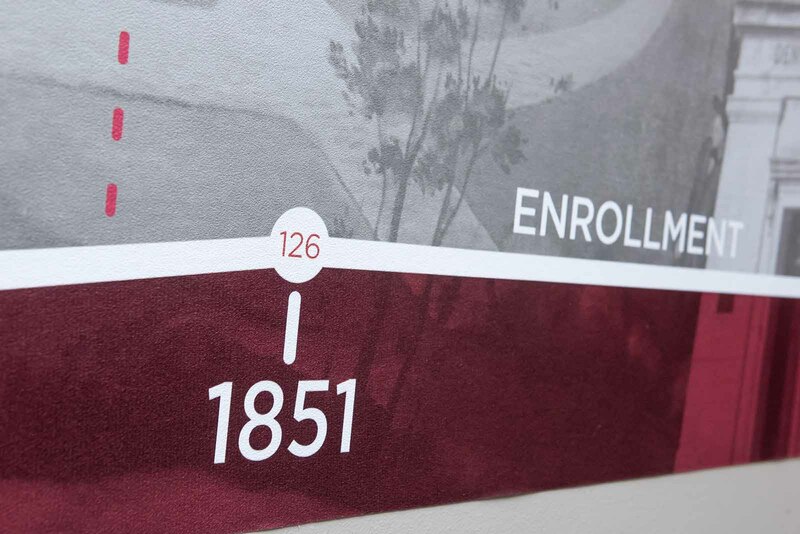 From 1831 to 1851 enrollment more than doubles. 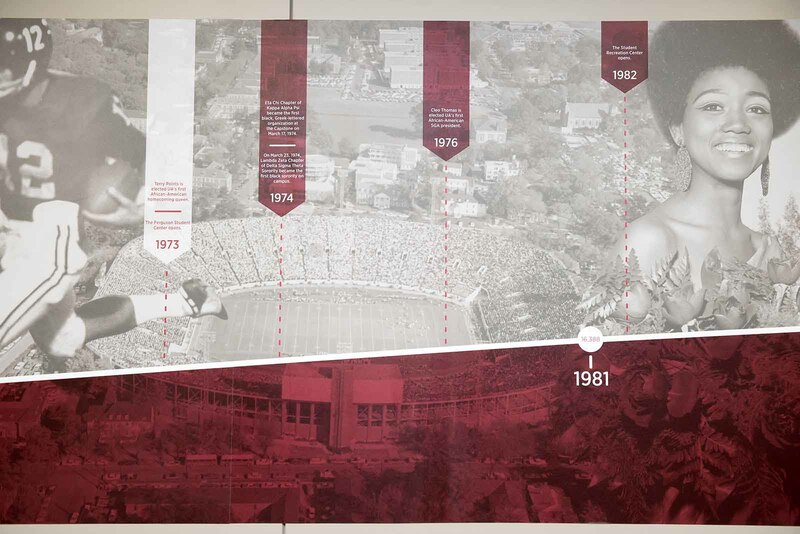 Yearbook, alma mater, student newspaper — we are coming into our own as a university. 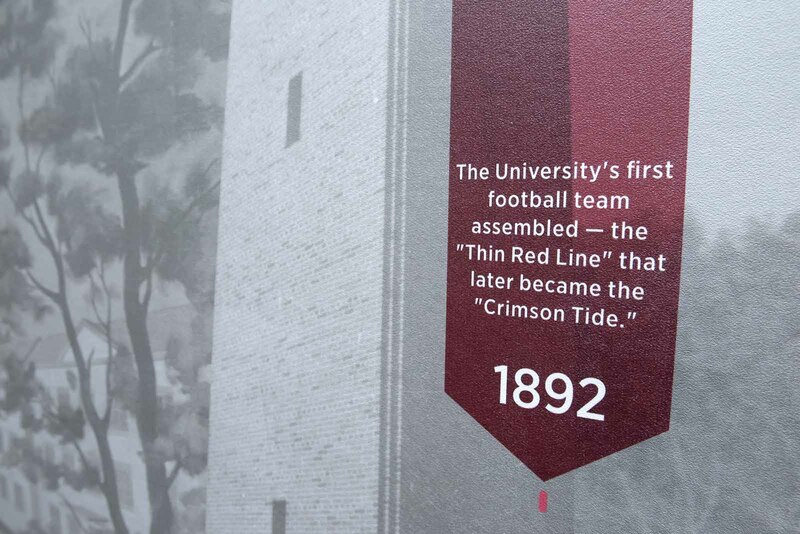 We tried football in 1892 and have never looked back. 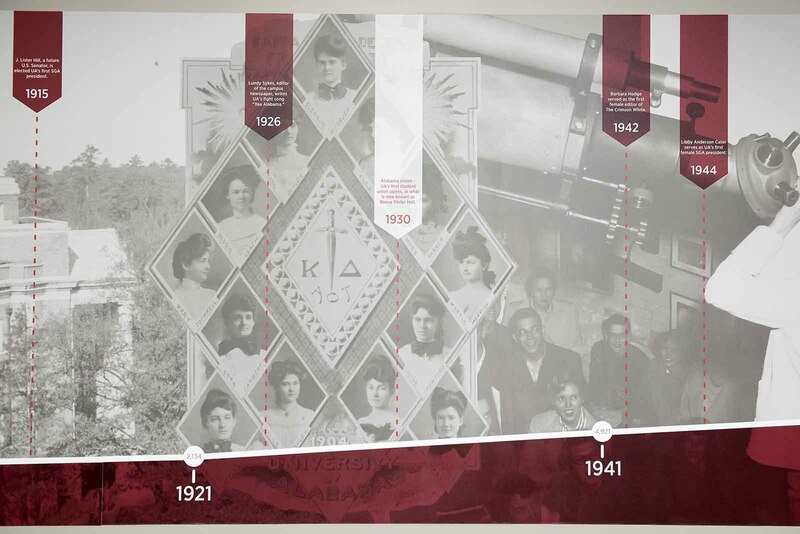 In 2018 we celebrate 125 years of women at the Capstone. 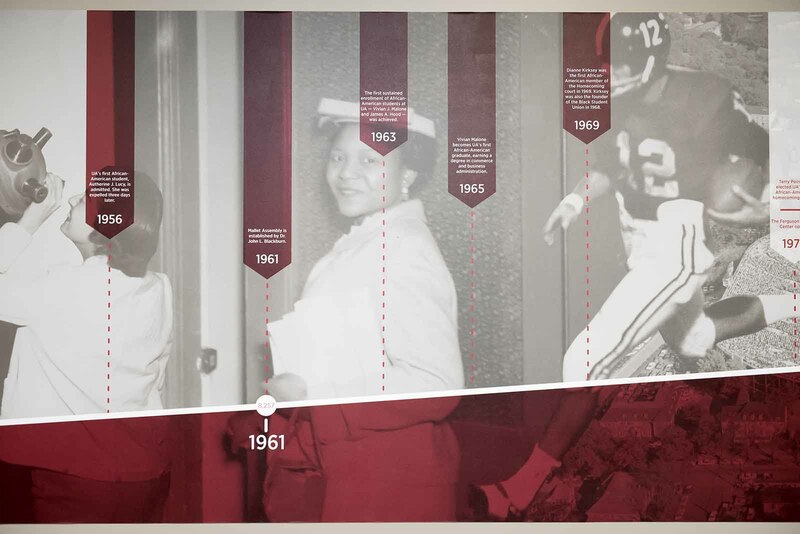 UA grew in diversity when the campus desegregated in the 1960s. 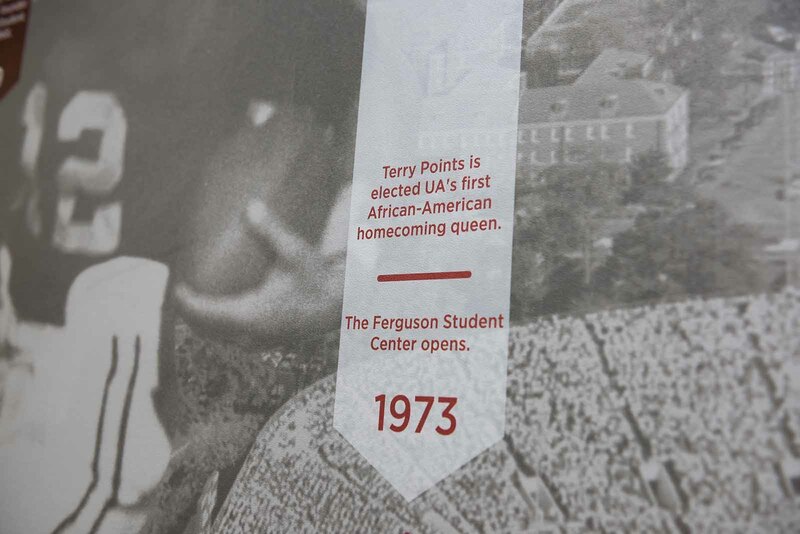 1973 — what a year! We have our first female SGA president, Lynn Yeldell. 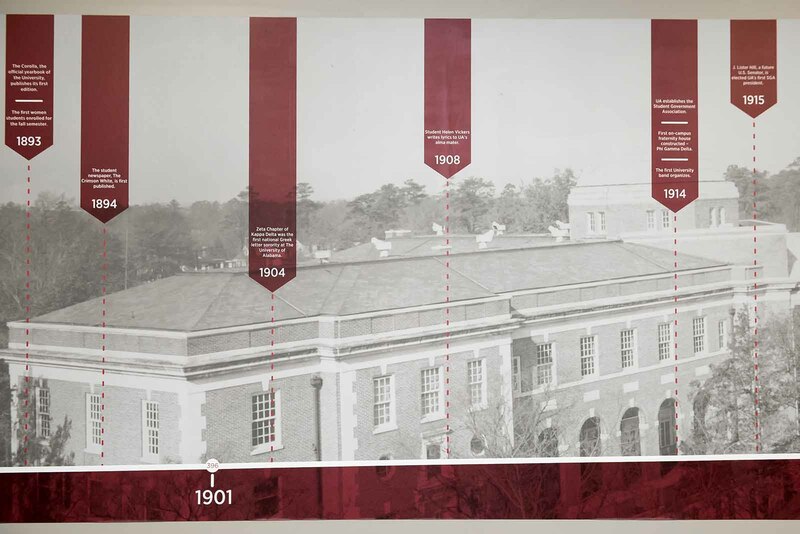 The Blackburn Institute is created. 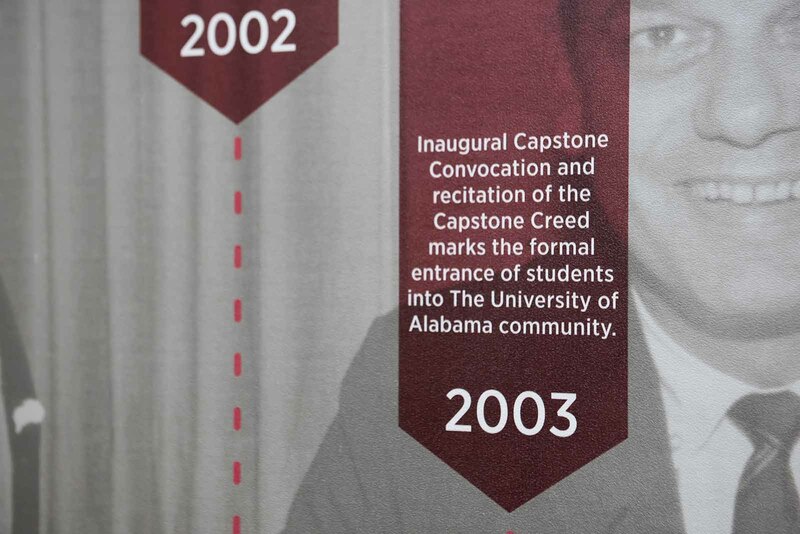 The Capstone Creed was adopted in 2003 but it seems like it’s been part of us forever. There’s plenty of wall space left. 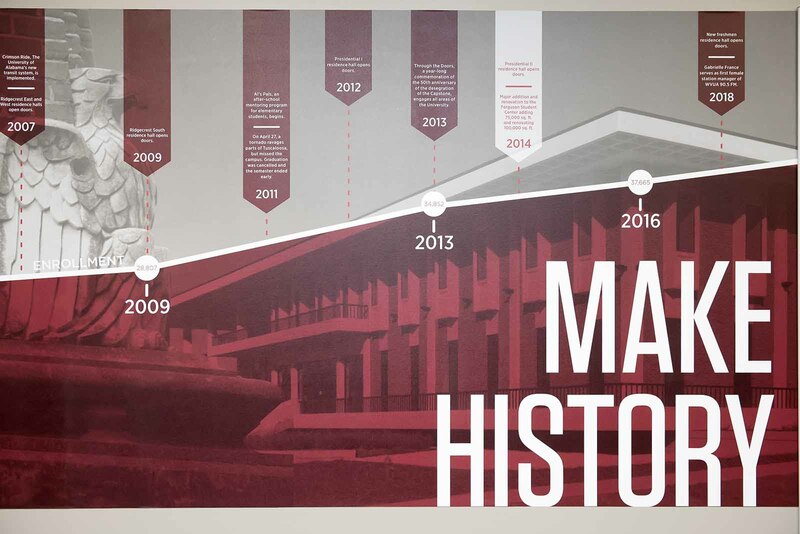 How will you help us make history? 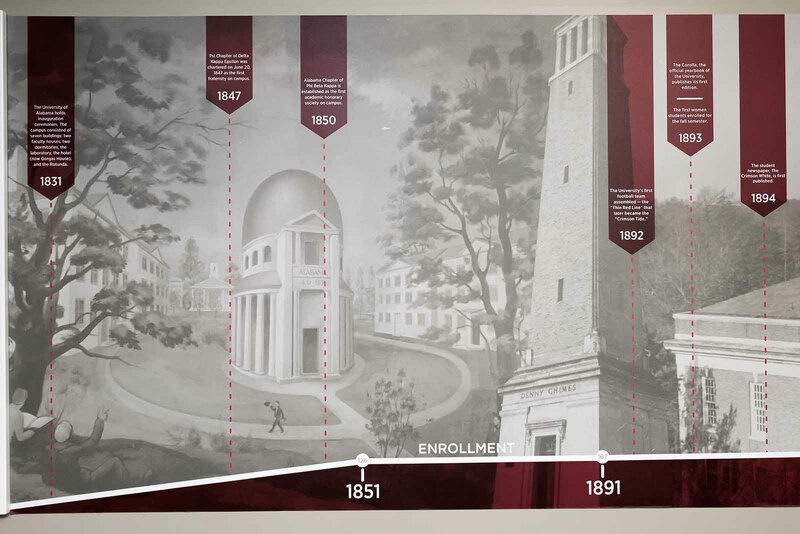 The new timeline mural on the third floor of the Ferguson Student Center depicts the growth of the Capstone in buildings, enrollment and diversity.